The Propex HS2800 heater is the big brother to the HS2000 heater. An automatic thermostatically controlled blown air heating system fuelled by Propane or Butane gas. Heatsource is designed for a variety of automotive and marine applications as a source of heat totally independent of the engine. 2.8kw Heatsource with single outlet vehicle fitting kit, including thermostat, 1m ducting, 2 x 1m lengths flexible stainless tube for exhaust & comb air inlet, grills, brackets, cables, fasteners. With forced air combustion and the Propex two stage stainless steel heat-exchanger, the HS2800 is a clean and highly efficient way to heat your vehicle or boat. Air for combustion is taken from outside and passed into the combustion chamber having been mixed with gas during three aeration stages, it is ignited automatically and heats up the large surface area of the heat-exchanger. The Heatsource units are totally room sealed and exhaust all products of combustion externally through the neat 26mm i.d. stainless steels flue pipe. To add to the efficiency, cabin air is normally re-circulated in preference to using cold air from outside. 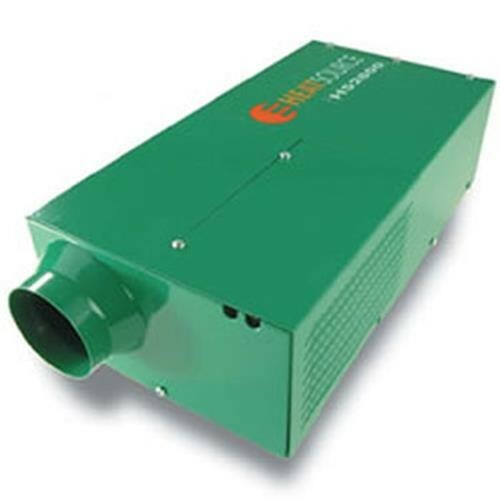 The HS series heaters are also very efficient on electrical current consumption, the high quality motor/fan combination and innovative current reducing electronics, both of which have been improved in the latest versions, means that even the larger HS2800 draws less than 2 amps during normal operation.